The most common response: Any physical act of aggression by a man toward his wife or girlfriend. It’s true this is a common scenario. In fact, 77 percent of cases involved allegations of simple assault and 76 percent of alleged victims are female. However, at The Ansara Law Firm , we recognize the State of Florida takes a much broader view of the crime. As defined by law – specifically, F.S. 741.28 – domestic violence is a violent physical action against someone who is either a household member or family member. That qualifying violent physical actions run the gamut from an assault (F.S. 784.011, an intentional, unlawful threat by word or act to do violence with the apparent ability to do so) tobattery (F.S. 784.03, intentionally causing bodily harm, touching or striking another person against their will), sexual battery, as defined in chapter 794, kidnapping, as defined in F.S. 787.01, false imprisonment or any other crime that results in some type of physical injury to the victim. Generally, domestic violence is not considered a single incident of loud arguing, screaming, pointing fingers or other emotional communication. Usually, domestic violence is considered part of a repetitious pattern. However, that doesn’t mean a person can’t be arrested for a single, isolated act of violence. While these crimes are serious enough, penalties are greatly enhanced when the alleged actions occur within the context of a close-knit “family or household member” relationship. In order to qualify in this category, those involved either have to be spouses or former spouses, people who are living together as a family or have in the past lived together as a family, or people who have a child in common together, regardless of whether they are married or were ever married. In most cases (save for those involving people who have a child in common), the family or household members have to be either currently living with one another or at some point in the past have lived together. When a crime is classified as a “domestic violence offense,” the defendant will be subject to harsher penalties. These are often emotionally-charged situations, and both defendant and alleged victim sometimes find themselves later stunned that matters escalated the way they did. Many times, the person who reported the incident is the one who later contacts a defense lawyer, wanting to know how to clear things up. While a defendant who has the support of the reporting party has a better chance of having the case dismissed or charges reduced, it’s not a guarantee. There is often some confusion about whether parental discipline can be considered domestic violence. The first thing to consider is the age of the child. Minors under 18 are considered under the control of their parents (or guardians) and the Florida Supreme Court has reaffirmed the right of parents to moderately chastise or correct a child under their authority (Marshall v. Reams, 1893). However, this power isn’t absolute. In 2002, the state high court ruled in Raford v. State a parent has no immunity when it comes to child abuse. In the 2001 case of State v. McDonald, Florida’s Second District Court of Appeal held a parent’s privilege to reasonably discipline a child doesn’t bar prosecution for abuse if the beating results in severe bruising or the need for medical attention. Still, courts have been clear that under common law, parents do have the right to discipline a child with a reasonable level of corporal punishment that is not excessive. A single spank, for example, is generally constituted as reasonable and non-excessive. Courts have held reasonable parental discipline can be used as a defense against a petition for a domestic violence injunction. But, all of this may be irrelevant if the “child” is over the age of 18. At that point, physical violence between a parent and child may be considered domestic violence, even if they no longer live together. 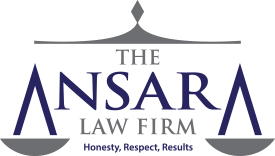 If you have been charged with domestic violence in South Florida, call The Ansara Law Firm today for your free initial consultation at (954) 761-4011.